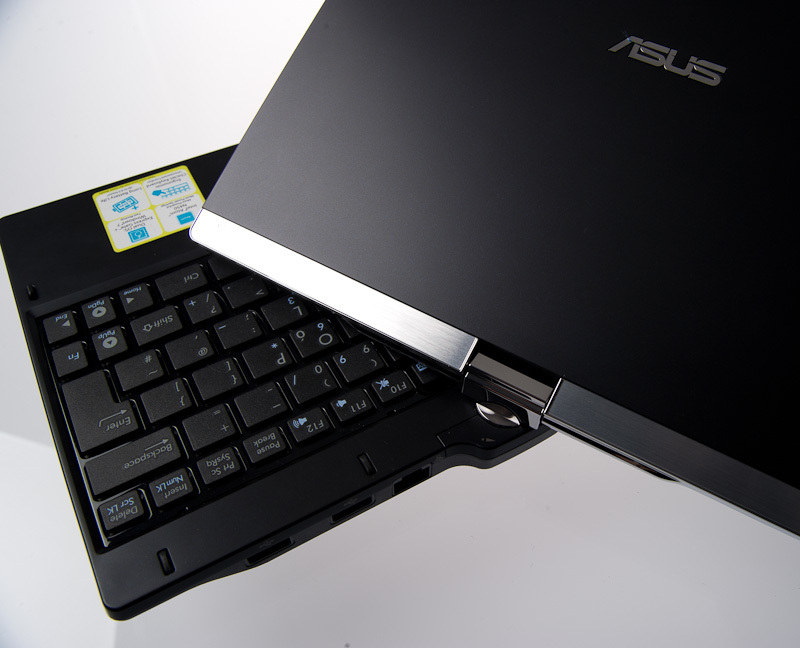 Asus are widely credited with redefining the netbook market, taking the 1990s concept of a “small, light connected laptop” that companies like Psion and Acorn pursued and Toshiba nearly cracked with the Libretto and turning it into the “small, light, cheap connected laptop”. Whilst there was a degree of the Eee riding the OLPC project’s coat-tails into the wider market’s consciousness the end result of that first device’s sub-£200 price point, robust SSD and Linux combination has been a flood of similar systems and the inevitable blurring of the netbook definition. You can drop the “cheap” bit for many, though functionality is very different to Psion’s Netbook. Asus, like Dell, Acer and Sony, are producing several models of netbook to fit any budget and requirement; the T101MT is particularly interesting in a tablet-obsessed 2010 and points to a surfeit of such devices for 2011. Whilst the original Eee and competitors targeted a definition of “Small, Cheap Computer”, at the time the options for a small computer were quite limited – with Toshiba’s Libretto essentially gone, Sony’s Vaio TT and P were amongst the few premium-priced models offering compact performance. Often hitting four figures, they existed above “Origami” or UMPC machines of limited functionality which themselves cost more than a decent laptop. 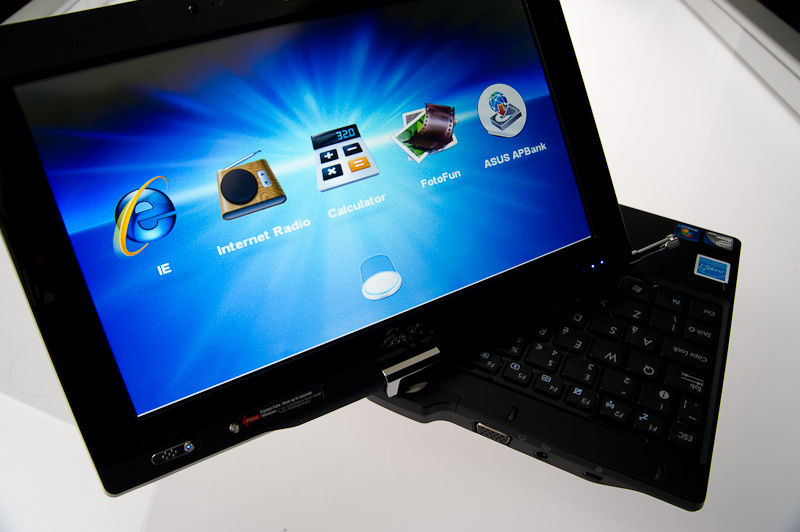 The original definition of the sub-10″ class netbook focused on low-power, basic performance and low cost; a winning formula that saw the Linux-based Eee 700 and 900 models become best sellers. Now the form factor has been (re)discovered, it’s not unusual for the netbook to cost more than a low-cost conventional laptop as people add options and enhance specification. The driving force behind this has been Windows – initial netbooks used Linux distributions with simplified UIs, a masterstroke that allowed the low-performance chipsets to deliver acceptable browsing and basic productivity. Once people began to find ways to cram Windows onto the machines, netbook manufacturers like MSI began to change the spec of their systems to suit, substituting small, efficient SSDs with cheap HDs. The modding market forced HSDPA modems, bluetooth, touchscreens into the little Eees until OEMs saw a gap, and began to produce machines to those specs. Eventually what you end up with is a small, not very cheap computer with poor Windows performance. Asus currently produces a few machines that claim to buck that trend; the dual-core system I hoped to see didn’t arrive (and now looks to be overtaken by a new raft of N550-based dual-core systems). The T101MT reviewed here is a convertible tablet which comes specified with the industry-standard N450 chipset and 2GB RAM; sufficient to deliver acceptable Windows 7 performance with lighter apps. It is in essence an upgrade to the T91MT, a Z520 based convertible system which did not gain critical acclaim. 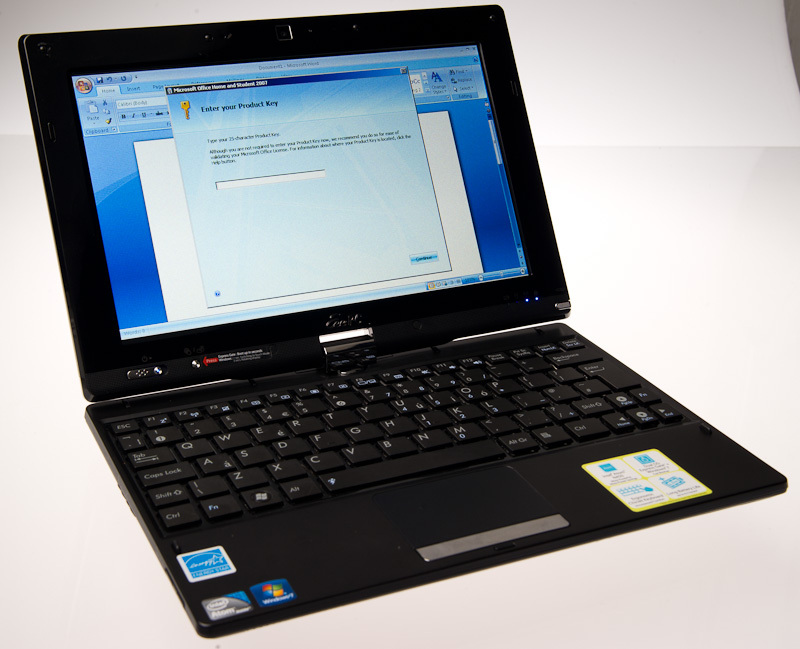 The MT includes a 1024 x 600 display, 2GB RAM and 320GB HD – apart from the HD capacity, absolutely standard netbook specifications that you can pick up for £250 without any tablet pretentions. As an established “convertible” form factor system it’s also one of the few to offer multi-touch AND a stylus; allowing Windows 7’s fairly basic gesture support to function whilst also accepting that you can’t write legibly with a fingertip, and sometimes Windows UI elements are just too small. A respectable battery delivers around 4 1/2 hours of runtime whilst Asus’ power management seems to do a decent job of letting the processors work hard when needed to deliver a Geekbench score of 1015. The build quality is heavy, but not necessarily “solid”; whilst the screen unit feels very substantial the bottom half of the system feels no higher quality than the original Eee. Like most PineTrail systems, there’s no HDMI port. 3 USB ports, VGA and 10/100 Ethernet join power and audio for physical interfaces, whilst the 802.11b/g/n WiFi is the only wireless capability included – amazingly there’s no Bluetooth interface on my review unit, though it’s listed in the specifications. Similar to the ExpressGate software, Asus includes a Windows touch-friendly interface. it's of limited use. Alongside the convertible screen, the T101MT is one of the Asus machines that supports “Express Gate” – in essence a BIOS-with-Balls 512Kb embedded OS for performing quick tasks. Booting up in 9 seconds, the SplashTop software it calls up is completely unaware of the touch screen and cannot scroll with touch in the browser for example. Whilst it may appear to have booted quickly, it still takes some time to load the browser from disk; short of an impressive headline startup figure the function is meaningless for real-world use. Of more use, the built-in SD card reader supports Microsoft’s “ReadyBoost” and with a Class 10 Sandisk 4GB card there were distinct improvements in the responsiveness of the HD-based netbook. It would be interesting to see if those improvements applied to SSD based systems with comparable hardware. Switching into Windows – in the UK at least, Windows 7 Home Premium with multi-touch support; the USA “enjoys” Win 7 Starter – seems to be the sensible course of action. It boots up relatively quickly and whilst provided with some shovelware, it’s nothing like as infested as a Dell; the AV “trials” and helpful tools are quickly removed and replaced with Microsoft Security Essentials before the inevitable update procedure. As with every tablet PC, the biggest problem is reconciling the users’ desire to run Windows applications, whilst also wanting a tablet, touch based form factor. I’m not entirely sure why the iPad’s launch appears to have inspired this desire in the wider consumer market, as tablet PCs exist not to run “the whole Windows experience” in touch form but to provide VARs and special needs users with a touch interface for specific applications – such as Point of Sale, or on-site surveying/logistics tracking. Windows and Windows applications are not designed for this method of interaction and no amount of gestures, flicks or layers on the OS are going to improve on this, in much the same way as Apple always claimed they would never make a Mac tablet. At least with a pure tablet, you have an excuse in terms of mobility and weight. You have to use touch, you’ve no choice. With the convertible model here, you’re gaining nothing as a browsing/light internet use system, and you have a keyboard and fairly basic touchpad (that’s not criticism, I hate cheap multi-touch trackpads) to replace the mouse. As a netbook, it’s also pretty heavy weighing in at 1.4Kg, and far from slim – the touch screen part alone is thicker than the Archos 9 PCTablet or N450-based JooJoo. The Asus T101 and JooJoo share N450-based architectures - yet the JooJoo is as thin as a single half of the T101MT. All of this is fairly predictable. Asus has delivered solid netbook material but nothing unique; what therefore justifies the pricing over a netbook? It would be nice if the unit had a glossy capacitive screen, but there are a lot of factors to take into account, particularly that “writing” bit. I’ve tried writing with a capacitive stylus on my iPad, it feels weird. Maybe better products will be developed, until then resistive is the best route to legible writing, signing of digital documents and precise drawing. Even so, this is far from the best resistive screen I’ve seen, with poor contrast and viewing angles, a distinctly fuzzy appearance and a low resolution for the price point. The multi-touch, palm and pressure sensing touch panel is very clever but ultimately wasted on a device which isn’t powerful enough to run anything that could use the pressure capability (such as Photoshop). Unless you have a pressing need to accept signatures or scribble on your netbook, a more responsive and higher quality capacitive screen would probably have delivered a premium-feeling product to justify the price and generate mainstream sales. So is the T101MT good for VARs? 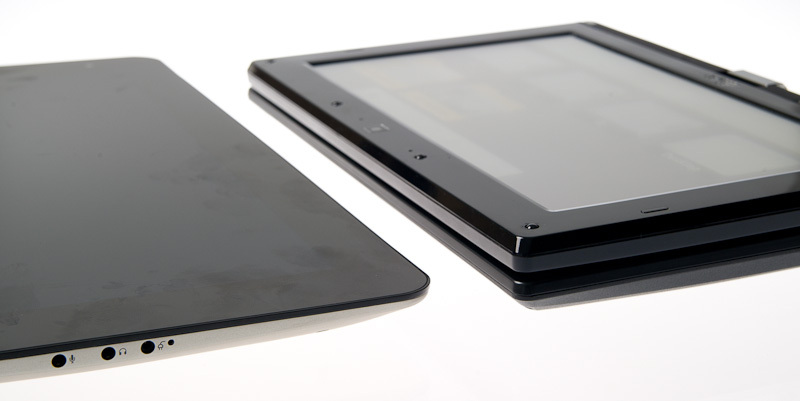 When a solid touch tablet/PC costs thousands, not hundreds, it would surely be an ideal product. Unfortunately again, the build quality is just not up with that class of machine. It’s not built for that kind of use, and not powerful enough. Once again it is not that Asus have developed a poor product per se. This is par for the course for this class of machine; if anything it’s a little cheaper than the options that have come before it, and represents steady evolution over the T91 and previous low-cost convertible/UMPC class systems. The T101’s achilles heel is a made-up problem that won’t go away, that of the Apple iPad and the inevitable comparisons that one has to make. Purely against the T91, the T101 is a major upgrade, albeit a larger system – from the display to detachable flush-fitting battery, it’s a more mature product. The T101MT includes a removable battery - lacking from the T91. The sub-5000mAh unit is still good for almost 5 hours, though the flush fitting means no extended option is available. The available tablet computers that fulfil this market make the T101 look like much better value, though the decision making process seems backwards. If, instead of adding touch to a netbook, you view the T101 as adding a keyboard and good battery life to a Windows tablet it represents stunning value. The 12.1″ JooJoo has the same basic spec albeit with 1GB RAM, a 4GB SSD and capacitive screen, yet costs just under £400 in the UK without a Windows licence included. It doesn’t even have video output. The Archos 9 is cheaper, but with the Z-series process, small HD and fixed memory it seems like it’s not just specification it’s sacrificed, but usability. Origami hangovers are best avoided, and the Shanzai stuff can’t deliver the battery life yet. When it comes to other convertible netbooks it’s a case of splitting hairs; they’re all roughly the same price, roughy the same spec and work in much the same way (Dell’s Inspiron Duo is a slightly different take on it and reminds me of the Flybook – which cost thousands for a lower-spec system and makes the T101 and its contemporaries look like bargains). Before the iPad, tablets were niche products. iPad has simultaneously shown how it should be done whilst throwing the reasons for past efforts’ failure into sharp relief; continuing to produce machines that take existing desktop/laptop operating systems and making them into tablets simply doesn’t work. The struggle to make UMPCs cheaper, faster and longer-lived away from power was the wrong battle – what Origami and everything else needed was a new paradigm. 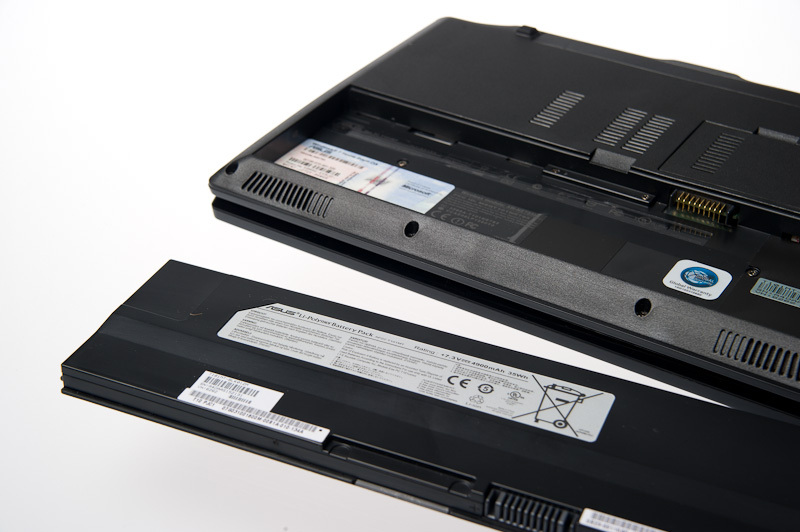 Treating the T101MT as “a convertible netbook”, it’s one of the better ones with strong performance, a well spaced keyboard and decent storage and RAM. The pricing is fairly consistent with the genre and the multi-touch display is definitely an improvement on the last generation of resistive units. The question you really need to ask yourself is whether your priority is to run Windows, in which case a better netbook (for example, the Asus EeePC 12xxN dual-core models offer excellent performance for the same money) or even a full-sized laptop might be preferable, or if you want a tablet machine for simple tasks; in which case the iPad is class-leading and will be getting some very stiff competition in the near future – but not from anything purporting to run Windows or Windows applications. It’s the wrong OS for the market, regardless of the device it’s assigned to.